From February 22-26, Nassau Airport Development Company (NAD) hosted a series of events and activities at LPIA as a part of its “LPIA Clean Up Week” campaign. The campaign was designed to promote corporate and personal environmental responsibility. 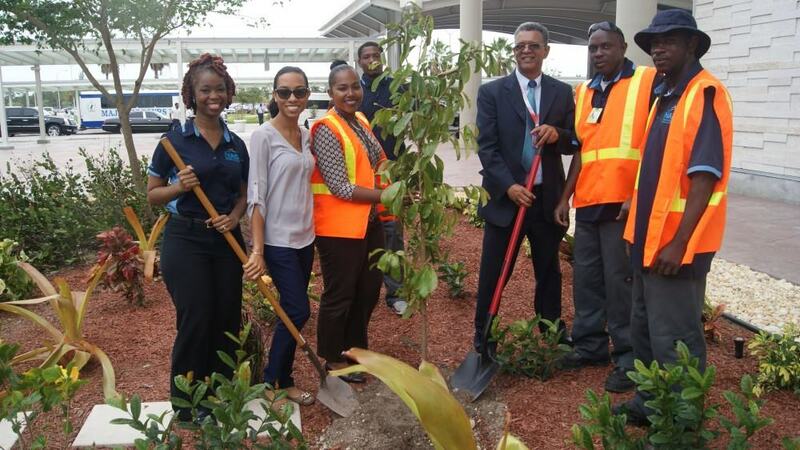 The Bahamas National Trust and the Department of Agriculture gave presentations to airport community members, while teams from several NAD departments organized a tree-planting event, a parking lot cleaning drive and the airport’s annual Foreign Object Debris (FOD) Walk to clean the airside. The entire week was planned by NAD’s Environmental Affairs Team, who also distributed brochures across the airport community to reinforce the importance of maintaining our surroundings.